Enjoying a leisurely breakfast by the river before heading off to a hectic day at work should be one of the highlights of your day! 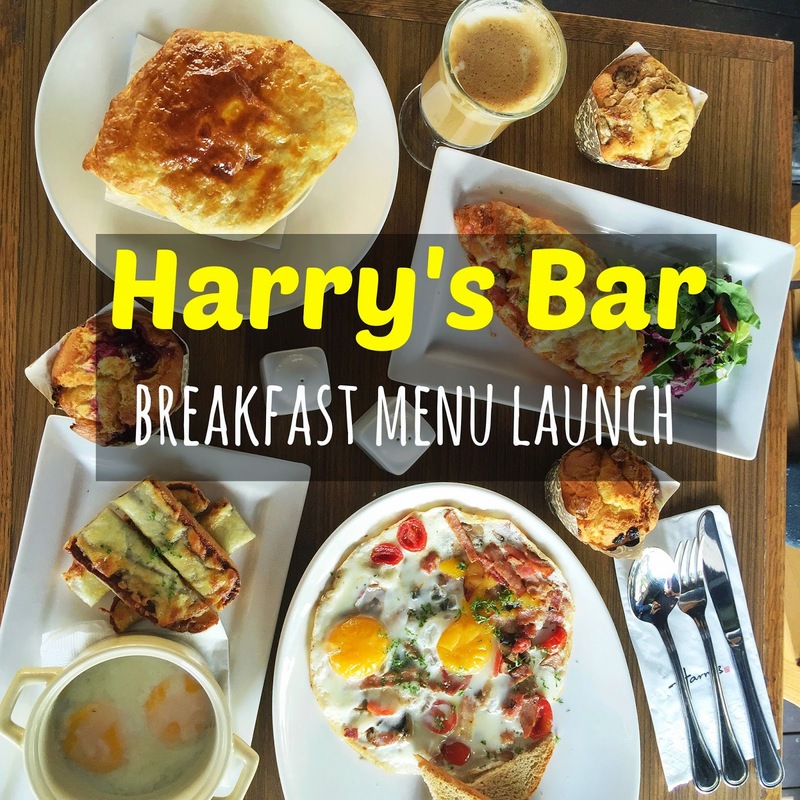 I had the pleasure of joining OpenSnap's tasting session at the launch of Harry's Bar's breakfast menu at Boat Quay, and this made me envy those working in the vicinity! I believe a hearty breakfast is always a great start to confronting the day's challenges ahead — and Harry's new menu offerings certainly provide a great way to kickstart the day! Having a caffe latte while dining alfresco may not be very advisable in the midday heat, but it works just fine in the morning! I absolutely loved the deep, bitter essence and the frothy foam on top. It was also a visual treat to observe the gradual blending of the layers of foam and coffee! Crumbly, moist, fresh and savoury. These muffins are presented in a stylish baking cup — they make for a very presentable snack for your colleagues! Oh yes, they are baked fresh DAILY! I know many places have their muffins delivered from a central kitchen, and keep them on sale for days! None of these stale muffins at Harry's! One of the greatest challenges with pot pies is keeping them from turning soggy. We spent about 15 minutes snapping away with our cameras, and yet the pies remained crusty and flaky. Whether you go for the Creamy Chicken and Vegetables or Mushroom and Potatoes Veloute with Vegetables, you are assured of a smooth, flaky and rich-tasting experience! My heart sank when I first saw this — the sourdough sticks looked like a heart broken into two. At first sight, the eggs looked pretty unflattering, along with unevenly distributed ingredients. Surprisingly though, the consistency of the eggs was pretty brilliant! With a firm yet jelly-like texture, this is perhaps one of the best sunny side-ups I've had — the yolks in particular were gooey yet held their shape well when my knife went through them. I would skip the Soft boiled eggs & Marmite soldiers though — the chunks of bread were a tad too salty, and the eggs seemed overly-adapted to the Singapore style of half-boiled eggs in a pot. But if you'd like to try a variation of Ya-Kun's famed breakfast eggs and toast, you might perhaps wish to give this a try! We rounded off the session with refreshing pineapple juice. I had a bit of time to look across the river and ponder the transformation of Singapore— especially since Harry's Bar is located directly across from where our founding Prime Minister Lee Kuan Yew (aka Harry) recently lay in state inside Parliament House. Thank you to both Harrys for adding such vibrancy to Singapore!